After Surya’s highly-anticipated look from Maatraan was recently revealed, speculations are now on about Singham 2, the sequel to his earlier hit. While he played the single character of Dorai Singham in the first part, the buzz is that Surya will be seen in a dual role with Anushka and Hansika in the sequel. The Hindi version of the film with the same title was a huge success in Bollywood. Interestingly, Singham 2 will be the 12th film of director Hari who also completes 12 years in K-town. He clears the rumours surrounding the movie. 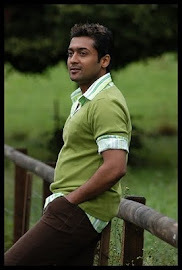 “Surya’s character will have two dimensions so he will don two different looks. There’s also a surprise element to it but that is all I can divulge at this point of time,” Hari says with a grin. It will be the first time that all the actors from the original, including Manorama, will be seen in a sequel. “It’s a continuation of the previous script. Singham 2 begins where it was left in the original. All the artistes are needed by us except Prakash Raj who dies in the first part. Luckily, ace actress Manorama has recovered after her health sabbatical and is joining us. New additions include Hansika, Santhanam and Tollywood baddie Mukesh Rishi,” he informs. Hari also reveals that they are looking out for a Hollywood actor to play a powerful antagonist. “The story, which begins in Thoothukudi, will end up in South Africa in a flabbergasting action-packed climax. We will be shooting extensively in SA as part of the film unfolds there,” he adds. While Anushka plays the daughter of an industrialist, essayed by Nasser, Hansika will act as a college student. “It’s a balanced script so both the hot ladies will share equal screen space with Surya,” quips the director. Often referred to as a ‘producer’s delight’, meticulous planner Hari has set aside 105 days for the high-action entertainer in a bid to complete the shoot from start to finish.